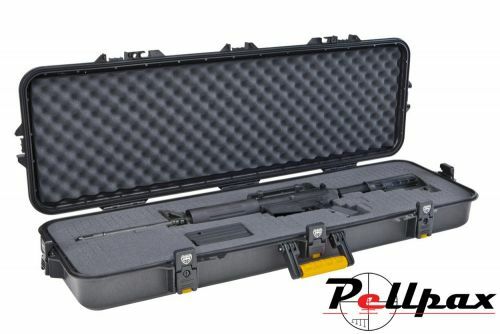 This All Weather gun case from Plano is a large and super secure case for storing your firearm throughout storage and transportation. The construction has been made to be as industrial and rugged as possible and includes a complete Dri-Loc seal around the perimeter of the case to ensure an air and water tight seal. This protects the contents in even the most extreme of conditions, and the dual stage lockable latches mean that unwanted opening is avoided, and a built in pressure valve allows for airline transportation. This latest model includes pluck foam for total customisation to your firearms. Add this item to your basket & spend an extra £320.01 to apply for finance.